I love to cook my bacon in the oven so the pieces come out nice and flat. It comes out perfect every single time.......except for this time. I recently purchased a new stove so of course I want to keep it as shiny as the first day they delivered it. I was cooking bacon in the oven and when I opened the door I did not give it time to let the smoke air out from the bacon grease that dripped in the larger pan. I pulled it out and my eyes immediately shut tight. I could not see anything but I did know I had a very hot cookie sheet with grease on it tip to the right and left. Seeing how I was barefoot I poured the grease forward and I jumped back. All of the grease went right on the door of my brand new oven. I can not tell you what a blessing it was that I did not burn my feet. I used a trick I have used for other purposes around my house and it worked like a charm. Here it is! 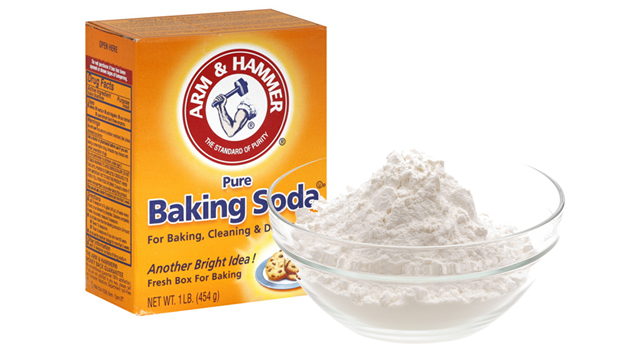 Start by taking a scoop full of baking soda and placing in a bowl. Add a little bit of water at a time until you get a very thick paste. Then you will take a soft brush and place over the oven door where the grease is. Use the brush lightly but do not scrub. You do not want to scratch the glass. Let this sit for about 2 minutes and then take a bowl with warm water and a towel and start removing the baking soda. Wipe it until all of the baking soda is removed. The key is to let it dry and then buff it with a dry cloth to remove any baking soda residue. One tip- do not use the self-cleaning oven feature until you remove the grease. The amount of smoke and burnt smell will stay for days. How do I know this? Just trust me! I just love how it looks as clean as it did the first day I purchased it! Take a look at my video below to see step by step instructions as I clean the grease from my oven. I was so thankful this worked and my oven looks brand new! See you next time with a new tip!